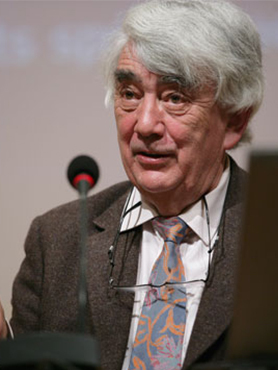 Roger Guesnerie has been the Chaired Professor of Economic Theory and Social Organization of the Collège de France, Director of Studies at the École des Hautes Etudes en Sciences Sociales, and Chairman of the Board of the Paris School of Economics. A graduate of the Ecole Polytechnique and the Ecole Nationale des Ponts et Chaussées, Roger Guesnerie has taught at the London School of Economics, and at several top American Universities (Pennsylvania, Harvard, UCLA, Chicago,..). Professor Guesnerie has published above one hundred academic articles in economics and a dozen of books. His fields of interest include general equilibrium, public economics, incentives and mechanism design, and more recently the assessment of expectations formation. He has also written several policy reports, for example on the question public cost benefit analysis, of competition policies or climate change. Professor Guesnerie has been elected President of several scholarly societies, notably the Association Française de Science Economique (2003), the Econometric Society (1996), and the European Economic Association (1994). He is a Foreign Honorary Member of the American Economic Association and a Foreign Member of the American Academy of Arts and Science. He has served as coeditor of Econometrica (1984–1989) and as Foreign Editor of the Review of Economic Studies. In France, his research has been recognized with the Silver medal of CNRS; he is Chevalier de l’Ordre National du Mérite and Chevalier de la Légion d’Honneur. – « A contribution to the pure theory of taxation », Cambridge University Press, (Econometric Society Monograph Series),1995, 301 pages. – Assessing Rational Expectations 2 : “eductive stability in economics”, MIT Press, 2005, 451 pages. – » Politiques de la concurrence », La Documentation Française, 2006, direction d’ouvrage R. Guesnerie et D. Encaoua, 303 pages. – « L’économie de marché », 2006, 2013, Collection savoirs et débats économiques, Le Pommier, (version augmentée) 238 pages, portuguese, italian, etc..
– « Deux économistes face aux enjeux climatiques », 2012, avec N. Stern, Le Pommier. 110 pages.